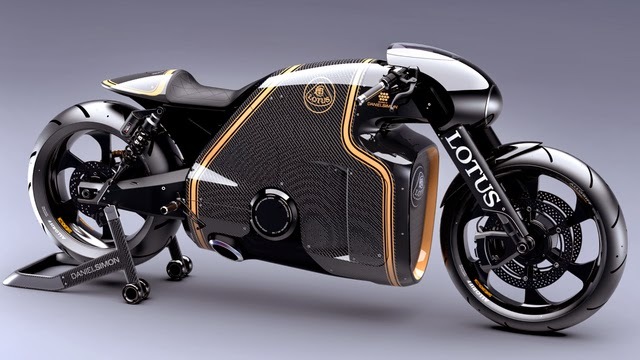 This is the Lotus C-01. 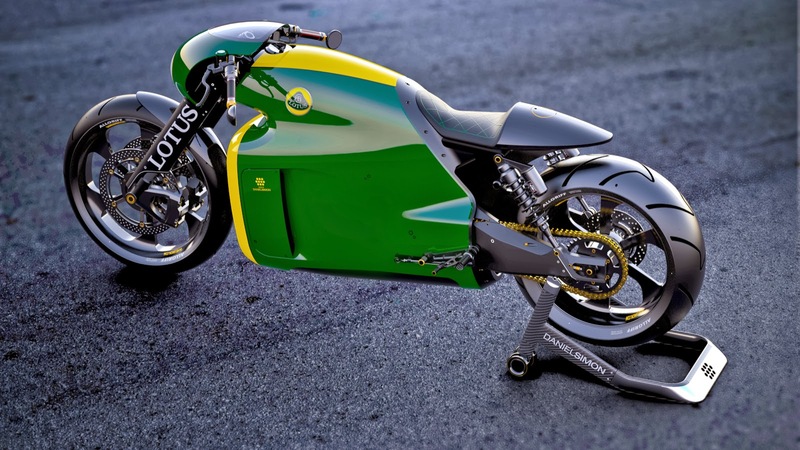 It will be built by Kodewa, the German outfit that built Lotus' Le Mans car. 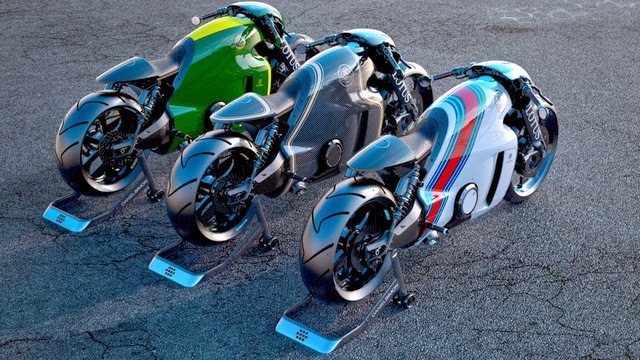 It was designed by Daniel Simon, formerly of Bugatti and movies like Tron: Legacy. And it will apparently go on sale soon in very limited quantities, although pricing hasn't been announced. Only 100 are set to be produced. 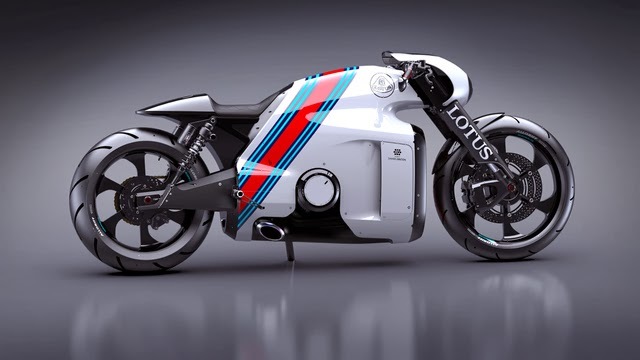 Top Gear says it has a high-performance brakes, a four-stroke 1195cc V-twin engine that puts out 200 horsepower, and weighs a smidge under 400 pounds.